Updated; 11th July. Some few months ago, the Federal Road Safety Commission (FRSC) listed 12 Items that Vehicle Owners/Drivers are now expected to have while driving on highway in Nigeria. 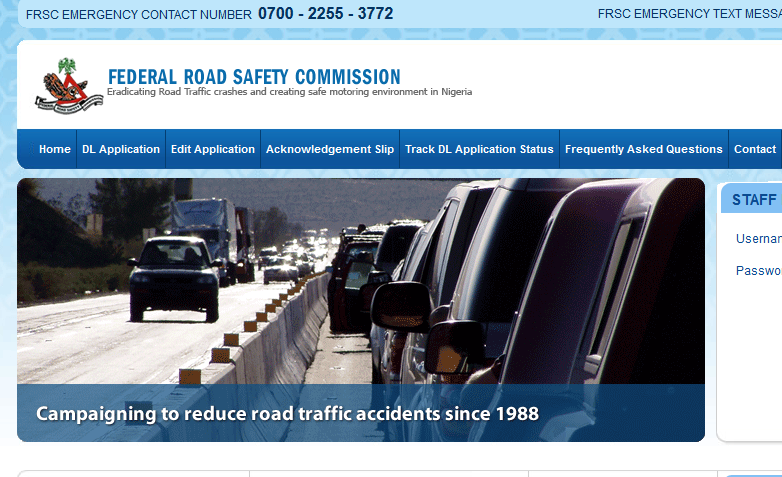 Today, Federal Road Safety Commission (FRSC) just confirmed that you can now RENEW your Driver’s License online in Nigeria without going through the tedious capturing and bio-metrics process. The new process is very simple and straight forward. So, follow the steps below to renew your drivers license online in Nigeria. The process is simple and straight forward. Step 1. 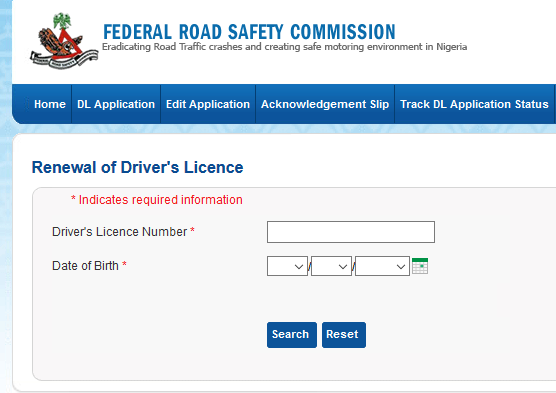 Visit the official Nigerian drivers license renewing website at http://www.nigeriadriverslicence.org. Step 2. Click on DL application on upper left-hand side of page. Step 3. Select renewal of drivers licence on the drop-down menu list. Step 4. Insert your license number and date of birth. At the end of the form, select “NO” when asked if you want to recapture bio-metric information. With this, your information will be pulled out from the database and you can select the centre where you wish to pick up your permanent license. This is just the simple steps you can follow to renew your drivers license online in Nigeria.